Black Sheep Sunday: My Darkest Black Sheep Revealed! If you recall yesterday I wrote of my Great-Grandfather, Thomas Carter, and the research which led to the discovery that he had been a British Home Child. Benevolent and religious organizations sent over 100 000 British children to Canada between 1869 and 1930–though the movement began even earlier in the 1830s and did not end until 1939. The reasons were often less than altruistic however! Britain felt over-taxed by impoverished, less than desirable individuals and there was money to be saved and even to be made by shipping children off to be indentured to farmers in the British Commonwealth. Children like my Great-Grandfather were sent in groups to a new, foreign land equipped with the promise of a new and better life and a trunk containing: 2 cloth suits, 2 sets of undergarments, 3 caps, 2 pair of boots, 3 pair of socks, 3 handkerchiefs, a jersey, and an overcoat. Many were orphans but many were not, and some were sent without even the consent of their parents. I wanted to know the circumstances behind Thomas’ emigration! It was the pursuit of this information which led me to this, my most morbid but thrilling revelation….My Darkest Black Sheep! One horrific newspaper article after another revealed that Thomas’ father, my 2nd Great Grandfather, John Carter, had murdered his third wife Rhoda Titcombe. At first glance I was in denial! Oops, I must have climbed someone else’s more sinister and albeit more thrilling family tree! As my research progressed I soon realized with heart pumping clarity that indeed my family of dull British farm labourers had now become a family embroiled in the unspeakable–murder! I had followed the family through the English census records. John had been married three times. His first wife, my biological 2nd Great-Grandmother, Elizabeth Thatcher had died from a fall down stone steps in their cottage. There had been a coroner’s inquiry and it had been deemed accidental. She had been pregnant and unwell and had lost her balance or had a fainting spell. Her daughter and a neighbour had been present but John–her husband–had been out working so my fear that he had also killed her was quickly dispelled. His second wife however, Elizabeth Alder– with whom he had another son John Nelson–had mysteriously disappeared. She was thought to have left him for another man….but had she? What to do next? How to follow this historic trail of serial marriage and possibly serial murder? The lucky aspect, if you can call it lucky, of finding someone infamous in your family tree is the knowledge that further records must exist! News worthy as John Carter’s story was, knowing the date of the crime allowed me to search the newspapers on The British Newspaper Archive –I purchased a short term subscription. Article after article helped me to piece together the appalling and pertinent details of the crime, the coroner’s inquest, and the trial. I collected the names of the police investigators, the witnesses (including my great-grandpa,Thomas), the coroner, and the locations involved. This was crucial in leading me to the records I would need! I googled all the names. Which helped with background information. I discovered John had been placed in Reading Gaol through newspaper reports. The trail led me to the Berkshire Records Office who most excitedly housed the records of the coroner of Berkshire, Mr. Jotcham. The staff of the Berkshire Records Office were phenomenal and provided me with copies of the coroner’s reports for all three of John’s wives. But just as exciting, I happened across an article about the history of mugshots in England and discovered that Reading Gaol prisoners had mugshots taken during the 1890s when my 2nd Great-Grandfather had been arrested. These were also housed at the BRO and my luck persisted as a long lost cousin was able to unearth a mugshot of John Carter on a visit to the BRO. I now had a photo of my family’s Black Sheep! Admittedly looking into his eyes brought up a wealth of tumultuous emotions! 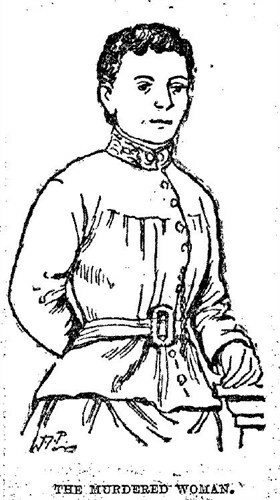 The verdict of the the coroner’s inquest was that Rhoda had been strangled by her husband. John Carter, her body after death partially burned in an attempt to hide the evidence. John Carter was found guilty of willful and malicious murder and sentenced to be hanged by the neck until he be dead. 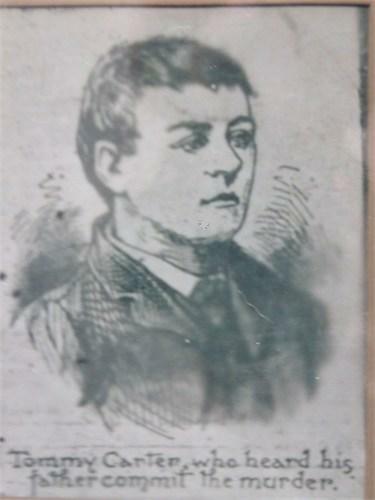 John was hanged by the British Chief executioner James Billington on 3 Dec 1893 at Reading Gaol. Prior to his execution he opened an entirely new can-of-worms by confessing to the murder of his disappeared second wife Elizabeth Alder. But what of the children, in particular my Great-Grandfather Thomas? 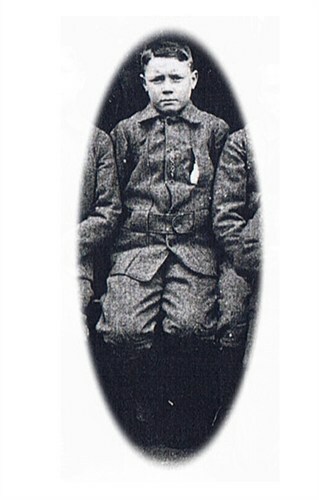 Thomas, my great-grandpa, Testifies in Court at the age of 8. I know now that after this trial Thomas was sent to the Farringdon workhouse as was his younger brother William. 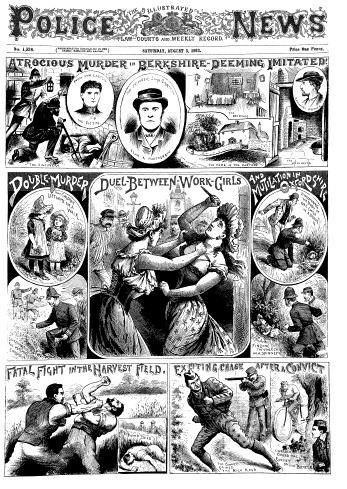 Two years later their married older sister would rescue them from the workhouse and register them with Fegan’s Home for Boys. According to Fegan records, an account by a local historian named Digsby, and passenger lists the boys were then sent to Canada as indentured servants, “Home Children” to start a new life abroad. 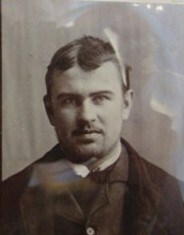 Thomas’ half-brother, the son of John Carter and his second wife Elizabeth Alder, John Nelson Carter, followed in another Fegan Home emigration party of 1900. I am not entirely satisfied that I have milked the research to its exhaustion. I would like to request further Reading Gaol files from the National British Archives. I also wish to pursue the fates of William and John Nelson further, and flesh out their stories. I am most eager to understand the motives and personality of John Carter, however genealogical research can only provide a framework which human imagination and emotional knowledge often must fill! Wow, what a story, and a fun research project! Wow! That is quite a story, and your research is so commendable. Looking forward to finding out more about the brothers. Well done.